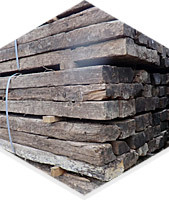 We are a company dedicated to the buying and selling of reclaimed railway sleepers in all of Europe, which allows us to offer you a wide selection of sleepers, as well as an optimum relationship between quality and price. 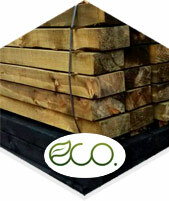 We always offer the lowest prices and highest quality possible for our different types of sleepers. 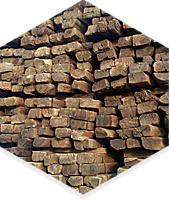 During railway clearings, we perform an exhaustive selection process, choosing 3 types of railway sleeper from lowest- to highest-quality, dismantling, classifying and shipping them to our customers. 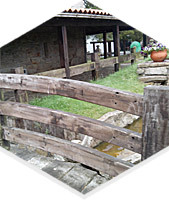 We offer new, reclaimed and ecological railway sleepers of various measurements and shapes. 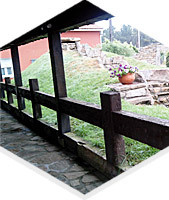 Ideal for: gardening, fencing, decoration, enclosures, stairways, landings, curbs, flowerbeds, planters, shooting ranges, corrals. We are always available to answer any questions you may have.